There are many more reviews here. Just click on the green button. "A massage for the soul! Highly recommended for all seeking internal peace." "The Chi Nei Tsang treatments I've received from Jak Noble helped me process some deep emotional issues that I'd worked on for years. Over the course of several treatments from Jak, I released old patterns that no longer serve me. Processing these negative charges is changing my life for the better! Thank you, Jak!" "Jak has worked wonders on my body, mind and soul. His incredible peaceful, grounded, and clear presence combined with the deep, powerful energy work he does induces a level of relaxation and receptivity that I have rarely felt with bodyworkers before (and I have experienced a lot!). I was having consistent, intense stomach pain for over a year before I started seeing him and after every session, I feel an incredible release and have been healing fast & feeling so much better. I so look forward to our sessions and really appreciate his work, can't recommend him highly enough." 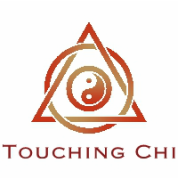 "I have received several Chi Nei Tsang Abdominal massage treatments from Jak Noble and I would highly recommend him. Jak is a skilled professional who is very knowledgeable about the Taoist principles behind Chi Nei Tsang. He is in tune with the subtle healing energies of the body and uses this sensitivity to help you process and release stagnant emotions stored in the abdomen. He uses gentle rhythmic touch to quickly lull you into a state of deep relaxation. This safe place of relaxation, between sleeping and waking, is where very deep healing happens. Whether you are suffering from digestive problems, insomnia, or emotional instability Chi Nei Tsang can help you."